A couple of weeks ago I was in Hong Kong with both my dad and sister and I managed to pick up a bunch of beauty goodies while I was there. Hong Kong is literally a shopping paradise for both cosmetics and skin care products as they have a wide variety of both Western and Asian brands. I saw everything from Garnier and Maybelline to Hada Labo and too cool for school. 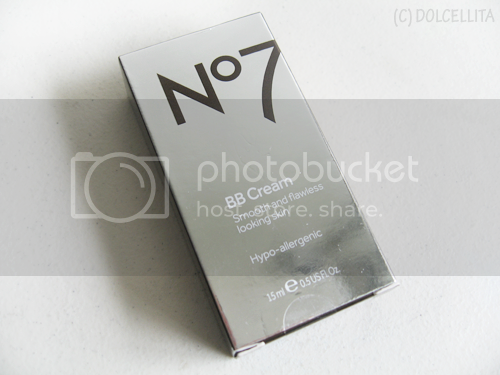 One of the brands I saw and purchased from was No7, which is owned and distributed by Boots, a pharmacy chain from the UK. 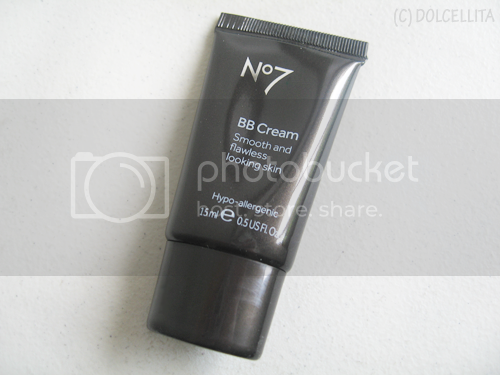 This review will be on their No7 BB Cream. This beautiful BB cream evens out skin tone to provide a naturally perfect look. The silky, weightless formula provides coverage to help brighten the skin and conceal imperfections. Your skin will be left feeling hydrated and comfortable, with a soft long lasting finish. Ideal for all skin types. Fragrance free and non-pore blocking. With sunscreen and Vitamin E to protect and care for the skin and Red Algae Extract to brighten the skin. I love how sleek and sophisticated the packaging looks with the mirror-finish on the box, and the squeeze tube depicts a similar sophistication with its all-black color and simple type face and layout. Honestly, this is one of the smallest BB creams I own and I initially wished it was bigger in size because it seems like a product I'd really like, but thankfully it looks like it should be enough to last me some time if I don't use it everyday. 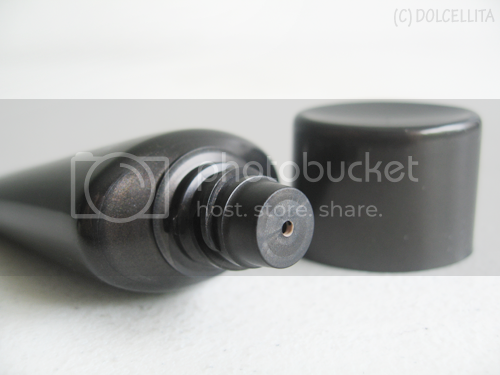 The tube holds 15ml of product. Or at least I think it does... The one problem I have with it is that even when brand new, I always had to do a fair bit of squeezing to get the product out, as if it's already been emptied by almost half. The box was sealed when I purchased it though, so I know it hasn't been used which makes the problem stranger to me. The formula itself I find quite nice; not too thick nor too runny, but it does set a little quickly once you begin to blend it out so it's something you have to work fast with. I unfortunately can't recall what shade this is. It's not written on the box or tube and I can't find this product anywhere online, even on the Boots No7 website (link), which makes me wonder if it's been discontinued. I seem to remember that there were only two shades being offered though, just like the other No7 BB creams that only have "Fair" and "Medium" for shades. As per usual, post-acne marks and large pores need to be covered up! Oh, the red on my cheek is actually from my Oxy10 acne cream. My cheeks are now sensitive to benzoyl peroxide ever since my bad allergic reaction to a facial soap so it just turns the skin there red after I use it. It goes away eventually though, thankfully. But it's perfect to test out the coverage of the BB cream, no? First of all, shade match is almost spot on and I don't really have to blend too much past my jawline. When applied it leaves a somewhat dewy finish on the skin, which I love. The dewiness can be counteracted easily with powder though if you prefer. It didn't cover up all the redness on my cheek, but it did minimize and conceal it by a great deal. My pores were also slightly minimized and overall it managed to even out my skin tone. My current and post-acne marks, as well as any remaining redness, will still need some good concealer though as the BB cream didn't fare too well with hiding them. I'd say the coverage of this is between sheer and medium, but it is buildable and doesn't become cakey. Lasting power is good. I wore this alone for almost six hours and it was still mostly intact. I didn't use any primer, setting spray, and didn't re-touch with powder. I only used powder to set it. However, there's little to zero oil control with this as my t-zone still gets shiny after the usual 2-3 hours. Helps to minimize redness and pores and evens out overall skin tone. Hypo-allergenic, good for those with sensitive or acne-prone skin. Leaves a semi-dewy finish which can be easily made more matte with powder. Very buildable and doesn't cake up. Wore it without primer and with no setting spray for almost six hours and it remained intact. Not sure how it'll hold up against very oily skin or sweat though. The shade of the product isn't listed or printed on the packaging. Little to no oil control. Sets quickly so you have to work fast once you start blending it out. The tube seemed almost half-empty even when brand new, so I have to squeeze well to get product out. If you have dry skin, it can emphasize dry spots/patches if you don't moisturize well prior. May be a discontinued product. Contains silica, a common ingredient in many primers and foundations that a number of people are allergic to.